Is your back light dim? Does it start up with a red tint? Does the back light eventually just give out OR do you hear a high pitch hum sound coming from your screen? 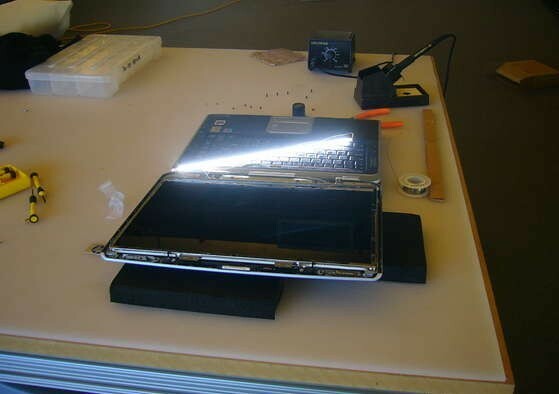 Well, here's part two of the laptop disassembly and repair. We're now moving away from exploratory surgery and into healthy repair. Warning: CCFL Tubes are small fluorescent bulbs. As such, they contain mercury. It is also likely that they are made with lead glass, which is very brittle and has a low melting point. Avoid shock and unnecessary stresses on the bulb including prolonged periods of high heat (soldering iron). 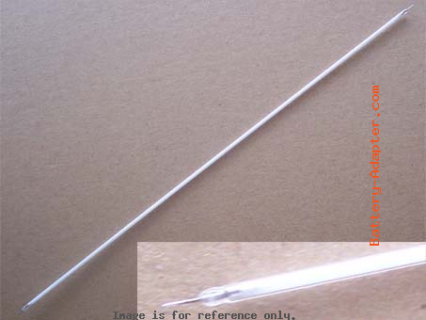 Do not twist or bend your bulb and do not wrap wire around it. If you haven't done so already -- take your screen apart! 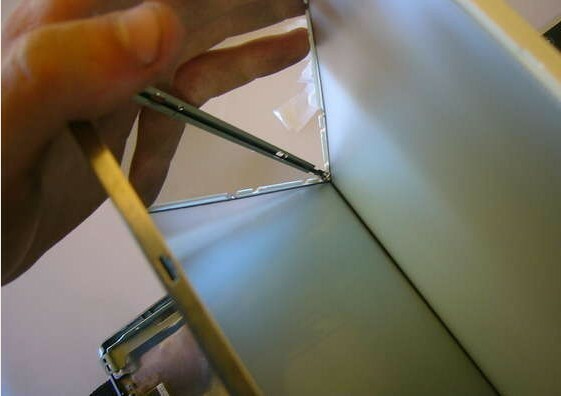 You can find some instructions for disassembly the screen by how to replace LCD hinges and how to replace LCD inverter. Pull back the silicone end covers to expose the old CCFL's solder joints. 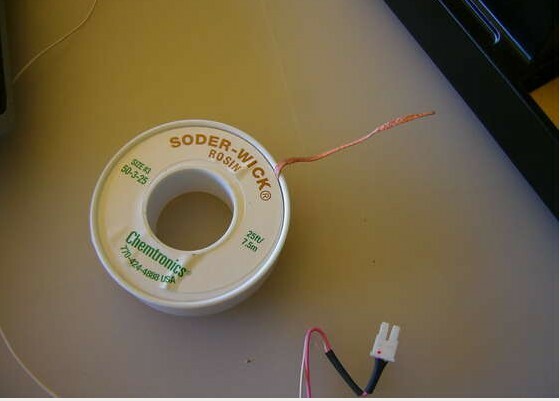 Desolder using solder wick and remove the wire. My wire happened to have a nice through hole end. 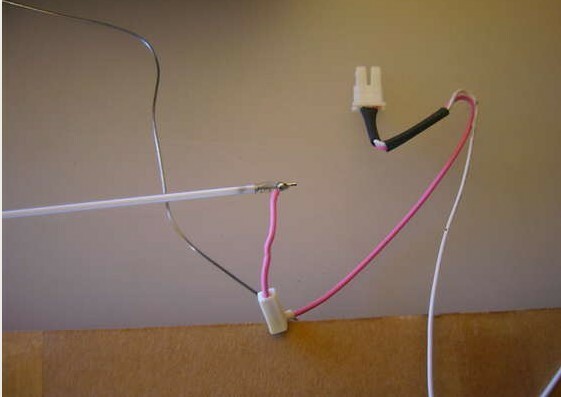 The bulb may come with long leads - trim these with wire cutters. Then, replace the silicone end caps. Step 6 Place Bulb into reflector assembly Place the new bulb into the reflector assembly just as the old bulb was (in my case, wires pointing "up"). Before going through the trouble of reassembly, reconnect your inverter and bulb and start up your machine. Does the bulb work? Allow it to stay on for a few minutes to make sure it doesn't overload the inverter (high pitched squealing). If everything is good -- continue forward. 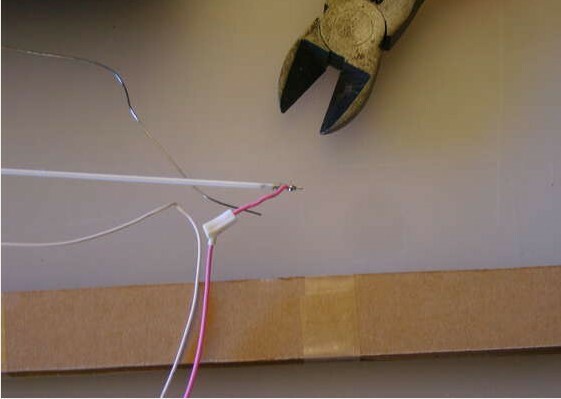 If the bulb does not light, check your solder joints and then check for connection issues. If that's good, check the bulb for cracks. Otherwise, there's a possibility you got a dead bulb. Behind the LCD and polarizing sheets - you'll find a pane of glass, about 1cm thick. The reflector assembly straddles this glass. So, what you need to do is clip the reflector assembly on to this glass AND do so in a way that won't break the bulb (that is, as even as possible). Reverse the procedure to assembly your laptop. More CCFL Backlit Lamps, please refer to battery-adapter.com.